The William It Was Really Nothing/blue faience hippo mitten pattern has just been released. 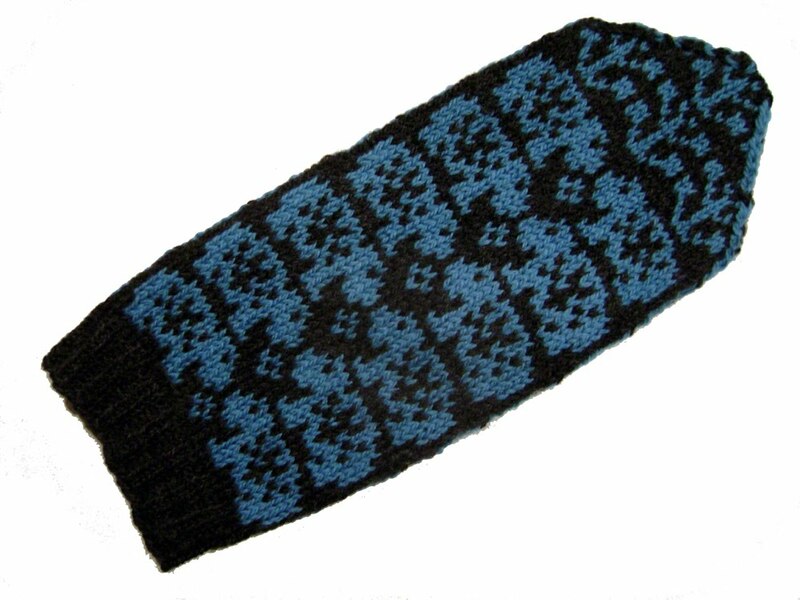 Instructions are included to produce fingerless mittens as well. Clicky, clicky. Watch for it to appear in my Etsy shop, soon. The palm features a river plant motif, creating the ideal enviroment for any hippo looking for a nice place to lurk. So that's it for 2010, then -- no less than 21 new SpillyJane patterns have been released this year. I can't help but wonder what 2011 will bring. Wow, 21 new patterns! Nice job! January 2, 2011 at 12:50 p.m.
You're hippo mitts are awesome! But what really amazes me is 21 patterns in a single year! January 5, 2011 at 8:42 a.m.